Vienna Prater amusement park is our oldest and largest luna park. The most exciting attraction for travellers is the Giant Ferris Wheel. For second time travellers and insiders it is probably the chain carousel. 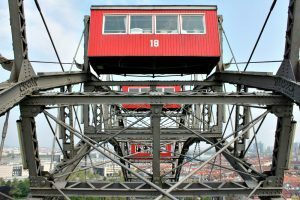 At 117 metres, it is the highest in the world and whizzes you around in exhilarating heights, offering the most stunning views over Vienna. 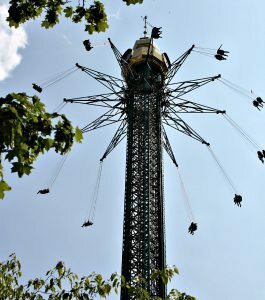 The larger part of the Prater is in fact woodlands and recreational area and was the former Imperial hunting grounds of the Habsburg family. When I was a child, my parents rarely took me there as its reputation and safety was not as good as it is today. While the full season runs between 15th March and 31st October the Giant Ferris Wheel and other attractions are open throughout the year. The entrance to the Prater itself is free. Vienna Prater amusement park. Riding the Ferris Wheel is nice as it gives you a good overview over Vienna. On top it is not so scarily high as the London Eye Giant Wheel in the UK. You can buy your ticket online. Since one round only takes 13 minutes some visitors get two rounds. If you and your other half have something to celebrate, dine in a special cabin. Instead of the usual wooden benches it boasts a festively decorated dinner table and chairs. Having a candlelight dinner in the Giant Ferris Wheel will give you a good six rounds, ticks both a classic attraction and food, and is something you will hardly ever forget. Cabins are heated in the winter. Vienna Prater amusement park. 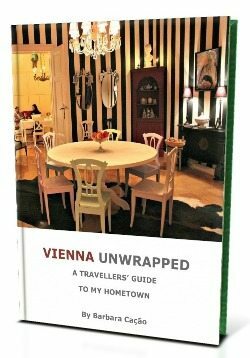 Just opposite the Giant Ferris Wheel lift the lid on Vienna’s passion for Sacher Torte and all things chocolate. 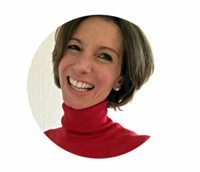 At the Chocolate Museum you will learn about the Latin American roots of chocolate, and the Austro-Hungarian royals’ adoration for ‘Kakao’ : for example, Empress Maria Theresa even had her own imperial chocolate maker! Where most jaws drop is at the larger than life chocolate figures from art, history and entertainment. My children particularly loved the cocoa jungle and exploring in the games section which chocolate types they are. 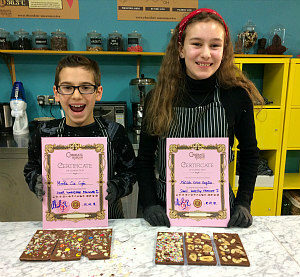 But the highlight of the day was creating their own chocolate. Read our story. With Madame Tussauds Vienna at the Riesenradplatz Prater also boasts an international attraction. There are several sections in the museum, from History to Culture, Sports and Music. Among other things expect to see the wax clones of key personalities of Austrian history, like Empress Maria Theresa, Mozart, Freud, and Klimt. Vienna Prater amusement park. The ‘1. Wiener Ponykarrusell’ has resisted all cartoon and technicolor-driven modernisations, including electricity. I just like the historic look and feel of this more than 100 year old Prater institution. What was more surprising, even my ‘Disney-trained’ kids jumped on it. 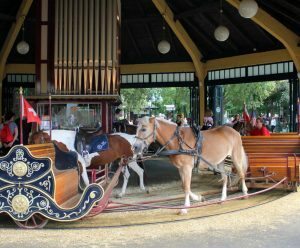 The First Vienna Pony Carousel is big fun for smaller kids who want a merry-go-round of a different kind and enjoy the company of ponies. Vienna Prater amusement park. A ride with the mini railway (Liliputbahn) is a simple but memorable pleasure. My kids and I enjoyed the ride as much as we did the Giant Ferris Wheel. The train’s old wooden carriages had a nice antique touch. 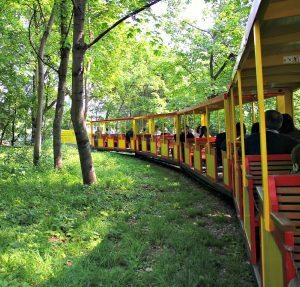 The best for us was to travel away from the hullabaloo of the amusement park and feeling the breeze of the lush meadows and Prater woodlands. That said, take the ride in the warm season. 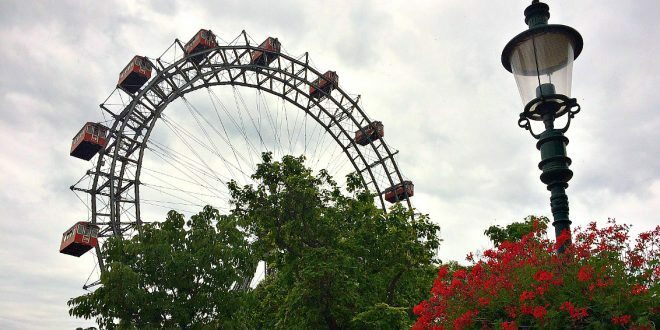 On your way, you will pass other traditional institutions like the restaurant Schweizerhaus and the First Viennese Rollercoaster with its model Austrian villages. The mini railway has several different locomotives, and on week ends and public holidays also operates the original steam engines. Vienna Prater amusement park. If your kids are older, consider renting a Segway and touring the Prater woodlands. Local restaurant Walfisch rents out segways. You will likely need time to get familiar with the device if you haven’t tried it before. Make sure you receive detailed instructions. Most of the beginners master the Segway after 15 to 20 minutes. If you need help during your ride, call Walfisch’s Segway breakdown service (numbers provided on the Segways). Rental: EUR 20 (for 30 minutes) or EUR 30 (for one hour) per person; identity card required. Bookings: recommended for rentals of more than two devices at a certain time – email office@walfisch.at.